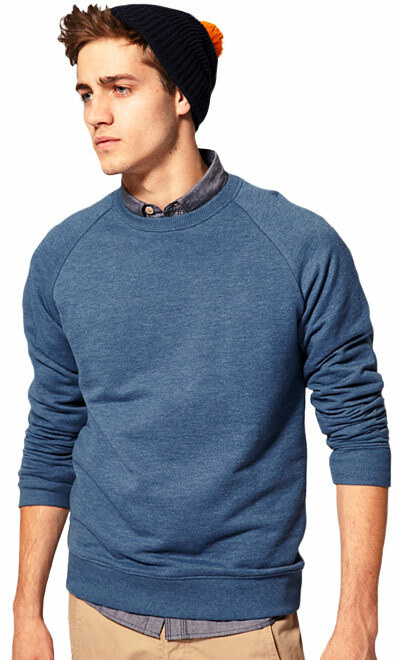 When it comes to off-duty style, a simple heather grey crewneck sweatshirt is a timeless piece every man should own (and it seems like lately, everyone does). Why not try one of these? There's been a recent influx of brighter options which have been washed and sandblasted for softness. The resulting effect makes for a more subtle, sun-faded style. Instead of being obnoxiously bold, they have a relaxed, worn-in vibe. Think Nantucket Reds meets 1970s California. Which means they look great paired with jeans, chinos or army green cargo pants, and layered over a blue button down or under a puffer vest and pea coat. Consider it weekend wear that will separate you from the pack. Ever wonder what the "V" stitching on the collar of your sweatshirt is for? Allow us to explain.